The brothers are known for designing clothes and staging elaborate fashion shows. A runway show in 2005 ended with Christina Aguilera stripping male models of their clothes. In September 2007, the DSquared2 fashion show in Milan featured Rihanna entering the stage in an American muscle car, followed by a runway walk. In January 2010, the DSquared2 Autumn/Winter 2010 menswear show in Milan featured Bill Kaulitz descending from the ceiling in a caged elevator à la Rocky Horror Picture Show, followed by a runway walk. Bill Kaulitz opened and closed the Dsquared2 Autumn/Winter 2010 menswear show in Milan. Their designs have been worn by Britney Spears, Madonna, Tokio Hotel’s lead singer Bill Kaulitz, Justin Timberlake, Ricky Martin, Nicolas Cage, and Lenny Kravitz. In 2000–01, Madonna commissioned them to design over 150 pieces for her Drowned World Tour 2001 and “Don’t Tell Me” music video. DSquared2’s design was also featured in Britney Spears 2009 world tour The Circus Starring Britney Spears and Tokio Hotel’s Welcome to Humanoid City tour. 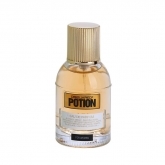 In conjunction with ITF Group, DSquared2 launched their first fragrance in 2007. 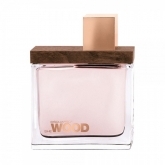 He Wood is an innovative fragrance with an aquatic floral note on a traditional woodsy base, and in homage to their Canadian roots, an alder wood frame protects the bottle. She Wood, introduced in 2008, again plays homage to the Catan’s Canadian roots with a flat wood frame protecting the feminine version of the popular He Wood. Other popular DSquared2 colognes in the He Wood collection include Rocky Mountain, Rocky Mountain Wood and Ocean Wet Wood.